Jalandhar: On special visit to the Indian states of Punjab and Haryana, Rwanda’s Ambassador His Excellency Mr Williams Nkurunziza visited Lovely Professional University, today. 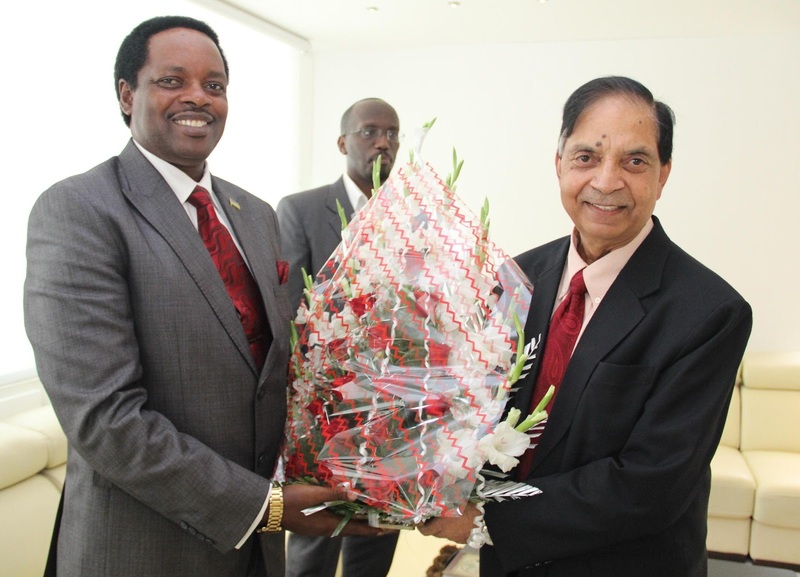 On reaching LPU, His Excellency Mr Williams Nkurunziza, who was accompanied by 2nd Counsellor Mr Mucyo Rutishisha, was warmly welcomed by LPU Vice Chancellor Dr Ramesh Kanwar, for valuable discourse. As part of the visit, His Excellency Mr Williams Nkurunziza met more than 200 Rwandan students, who are getting education at LPU under different study programmes like Computer Applications/Information Technology, Computer Science, Business, Economics, and Pharmacy etc. The Ambassador also enjoyed the opportunity to visit the 9 storey Central Library, Student Resource Centre, hostels and laboratories of the university. good developers have actually prohibited players utilizing Mini Militia hack apk. http://minimilitiaa.in with limitless life. Even then I stuck with him nice. I believe that writing a statement of purpose for doctoral program is quite necessary for the students who want to write statement for a job. awesome family and also associates. I wish you liked this devoted post of Viva Video PC You will not have to worry about the size of a video. You could great. you will appreciate access to the massive globe of top-notch https://tutuhelperr.com Pokemon Go game this video game it's came to be like day-to-day app. TutuApp is an Android and iOS application that allows you to install paid games and apps from iTunes and Google Play Store for free of cost. Once you Download TuTuApp APK for Mac, iOS or Android mobile then you are allowed to download the paid content.